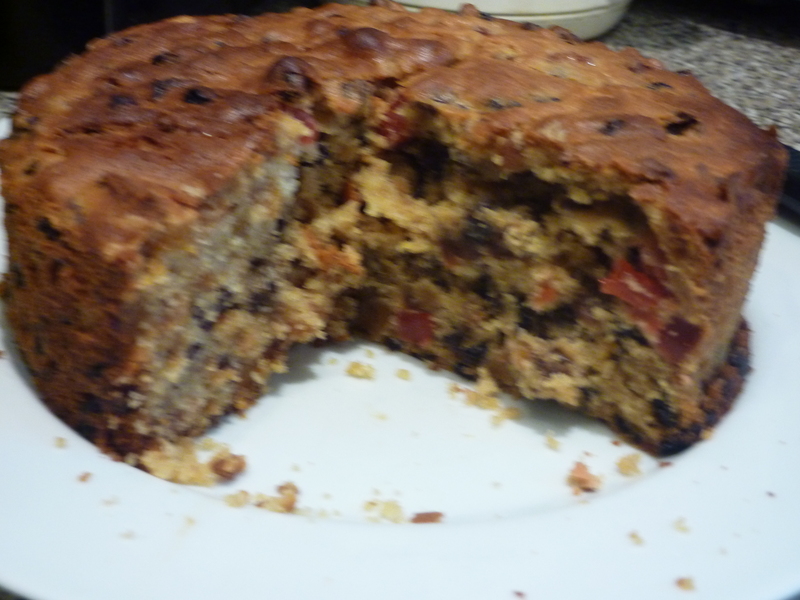 Light because it’s light on fruit, which for this cake are currants, apricots, raisins and glacé cherries. The fruit (but not the cherries) is soaked into tea, which makes it moist, and the cherries are chopped up and floured. The flouring is to help them stay mixed throughout the cake, but I suspect it is the chopping up part that helps most. The mixture didn’t seem to be working, so I added an extra egg, and then it took longer to cook than the recipe said. I don’t know if that was me or the recipe. However, the cake tastes nice enough, and makes a change from the cakes I normally make.